This letter was written by Pvt. 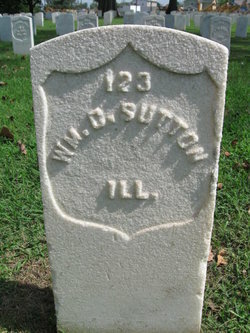 William Clagg Sutton (1844-1863) of Company D, 107th Illinois Infantry. The 107th Illinois was substantially a Dewitt county regiment, for it had its origin in Clinton, and six of the ten companies were recruited in this county, the other four coming from Piatt county. William was the eldest son of Peter J. Sutton (1816-1884) and Nancy Anne Clagg (1818-1889) of Dewitt County, Illinois. The Sutton family lived in Logan County, Ohio, before relocating to Illinois in the 1850s. The Sutton family farm was in Harp Township of Dewitt County. 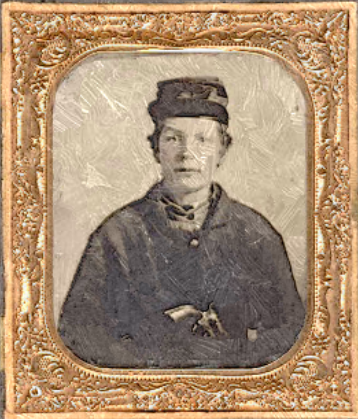 In the 1860 Census, the Sutton family also included Mary E. Sutton (b. 1847), George R. Sutton (b. 1849), Johnson P. Sutton (b. 1850), Johnathon J. Sutton (b. 1852), Henry C. Sutton (b. 1855), and Malinda Sutton (b. 1857). Regimental records indicate that William died at Knoxville, Tennessee on 9 December 1863. He is buried in the National Cemetery at Knoxville. I pick up my pen this morning to write you a few lines to let you know that I am well and in good spirits and hope when these few lines comes to hand they may find you all well. Uncle William Clagg ¹ is here but he is going to start home tomorrow. I am going to send $20 dollars up by him. I also am going to send some bullets by him for father to have a pare of molds made for that revolver that I sent to him by Frank Swisher. I was glad to see Uncle William. He looks as natural as old cheese. I would like to have had Mother to come down so I could see her but I would rather come home myself and then I could get to see you all. I think if the furloughs continues until August, I can get one and probably sooner. I bought that revolver on purpose for Pap to kill secesh with. There was nothing with the revolver but the holster. I think that you can get a pair of molds made for it. It might be the best to keep it kind of close for fear that some of them men up there that are hunting government property should claim it. I have nothing of importance to write this morning as I just sent you a letter last Sunday. The weather is fine but very cool of mornings. The last night’s papers had very good news in them about Vicksburg. I guess that I will close for this time and what I have not wrote, you can ask Uncle William and he will tell you. So no more at present. Write often. ¹ William Albert Clagg (1807-1894) was the founder of Claggstown in Logan County, Ohio. In 1836, the name of the town was changed to Rushylvania. 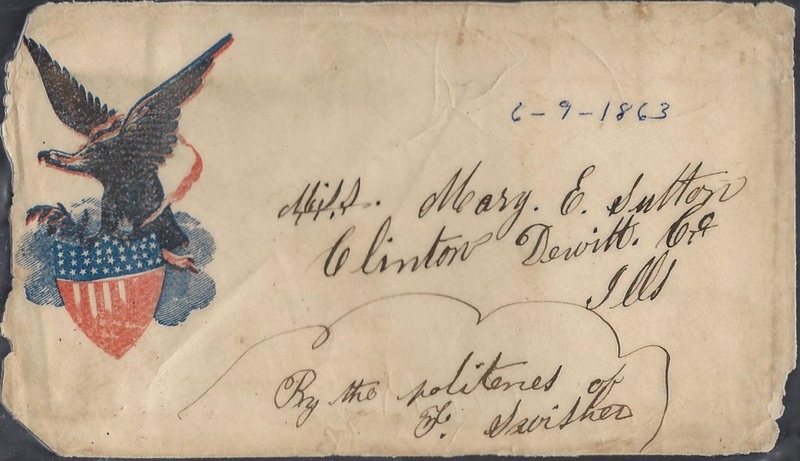 By 1856 he had moved to Clinton, Dewitt County, Illinois. He died in Newton, Jasper County, Illinois. This entry was posted on Tuesday, October 21st, 2014 at 1:05 pm	and posted in Uncategorized. You can follow any responses to this entry through the RSS 2.0 feed.